In IT, project-based hiring for part-time jobs is growing, says an expert. The freedom to choose assignments, convenience of timings and work-from-home option are some of the factors driving many to go for part-time jobs. And the payout is lucrative for many. “Many senior consultants like chartered accountants, IT consultants, procurement, commercial and legal consultants, advisory consultants, infra and construction consultants prefer part-time consultation where they make the same money as that of full-time jobs with similar hours of work,” says N Shivakumar, business head of recruitment process outsourcing (RPO) at Teamlease Services. Most of the millennials are attracted towards the part-time jobs as it fits their attitude and way of life, he adds. In the information technology (IT) space, project-based hiring for part-time jobs is growing: “Freelance consultants have options to work on multiple projects. 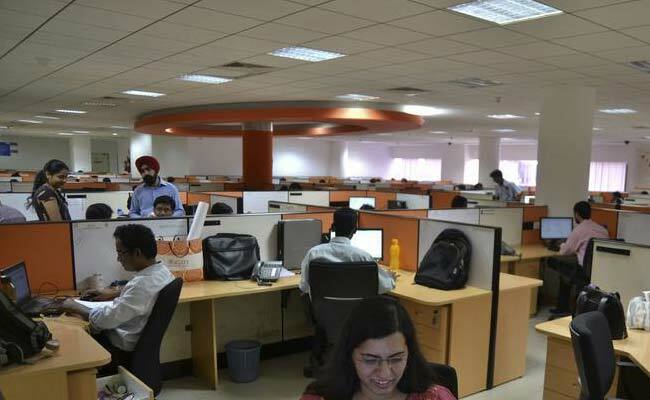 There are multiple BPO and ITeS companies who have email/chat processes looking at employing part-timers for their operation round the clock,” says Shivakumar. Some of the e-commerce companies, he adds, are looking at setting up their operational jobs with individuals who could contribute anywhere from four to eight hours from home. For companies, they are also to save on real estate and infra costs. Many in the finance and accounting professions like chartered accountants are also opting for part-time and hour-based work, he says. “This is more lucrative than the regular office full time employment. The demand for them is high post GST implementation,” says Mr Shivakumar of Teamlease Services. Part-time employees have two modes of payouts. One is the fixed salary for the month and the other is the hourly payout for consultants based on the number of hours of work. “Hourly payout for IT consultants ranges from Rs 1,400 per hour to Rs 15,000 per hour for niche skills consultants,” says Mr Shivakumar. Factors like work-from-home and convenient timings will drive the growth for part-time jobs, says the TeamLease executive. Also, the benefit of better efficiency in cost and process of operations for many operations will also add to growth in part-time jobs, he says. “Companies are thinking about work-from-field for sales force, work-from-home for BPO process, recruitments, and IT, with a flexi-option to dedicate the number of hours as required by the individuals and payout accordingly,” says Mr Shivakumar.